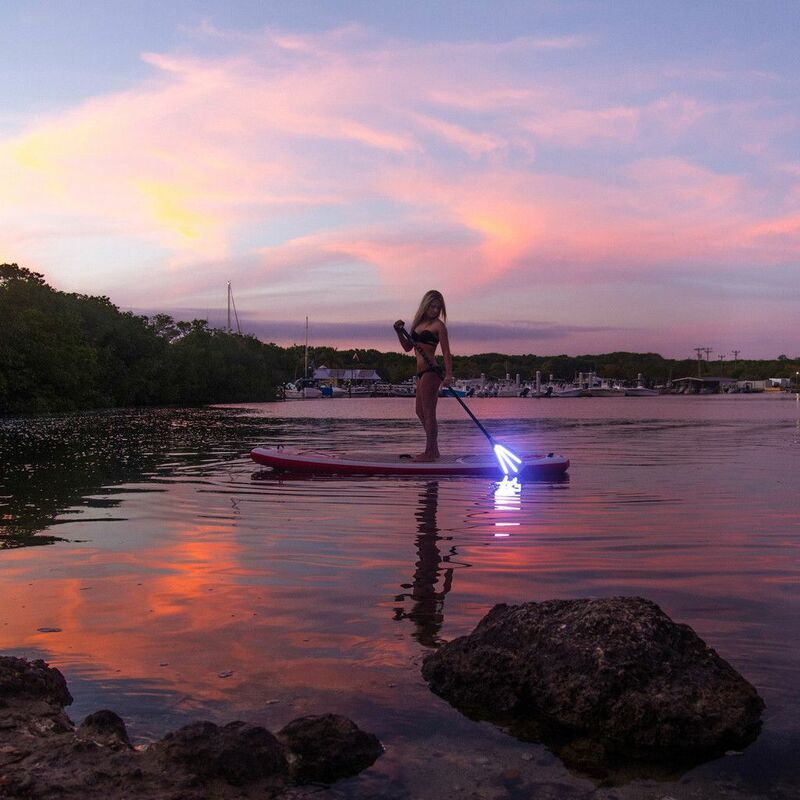 Explore the night…on the water with the 2 Piece SUP Paddle by Torch! No longer will you have to pack up your board and paddle once the sun sets. The newest paddle from Torch is 720 lumens and is powered by 8 AAA batteries. As you paddle out into that lake or river, dip the Torch into the water and be amazed as it illuminates everything beneath you! As expected, the carbon fiber shaft and glass-filled nylon blade are fully waterproof. This 2 piece paddle breaks down to 45″, weighs 2 pounds, and is available in 4 sizes: 68”,72”,78”, and 82”. Torch makes it fun to get out on the water at night!